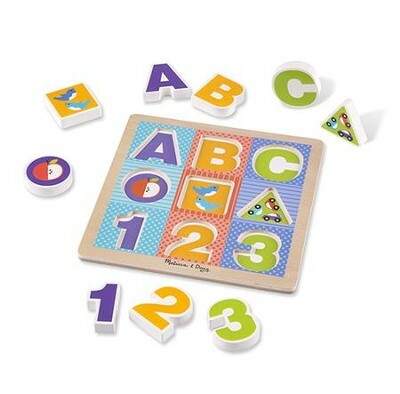 Your little one will love the ABC 123 Chunky Puzzle from Melissa & Doug. Designed for ages 2 years and older, this 9-piece puzzle is just the right size for small hands to grasp. Just right for toddlers and preschoolers, this puzzle is easy to put together. Measures 12" x 10.75". I'm the author/artist and I want to review ABC - 123 Chunky Puzzle.